I’ve made plans many times before… I have very rarely stuck to these plans. In fact on average I make two out of every five planned items. I don’t know how different this list will be, but I’m trying to at least keep it to a manageable level. Plus only add things I will really want to wear. So what’s in my winter collection? Well every winter collection needs a Christmas party top! This year mine will be this really cute crossover back number. I want view A (top left) in the lovely sparkly jersey also pictured above. And oh what a surprise I’m going to be making another Scout tee. 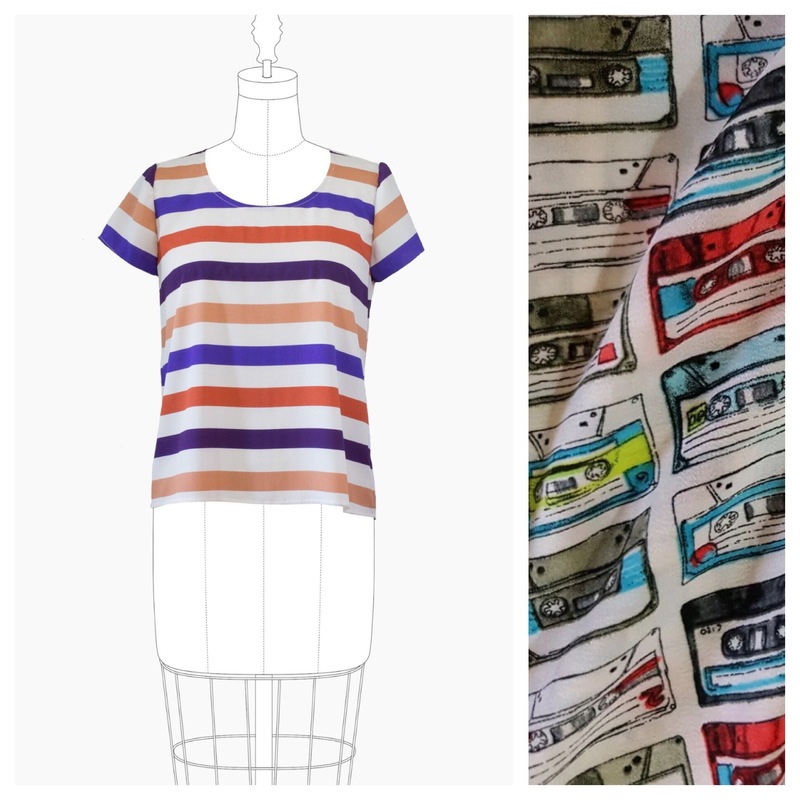 I managed to get my hands on the cassette fabric above, and because the Scout tee is the type of pattern that lets the fabric do all of the work, there was really only one option. 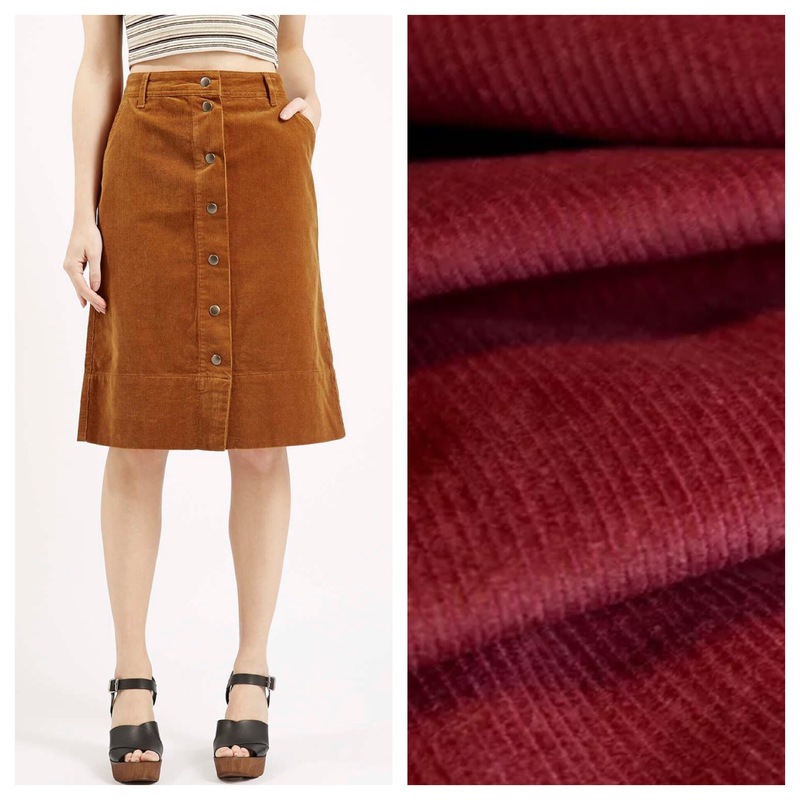 I don’t know if you knew or not, but 2017 is the year of corduroy! 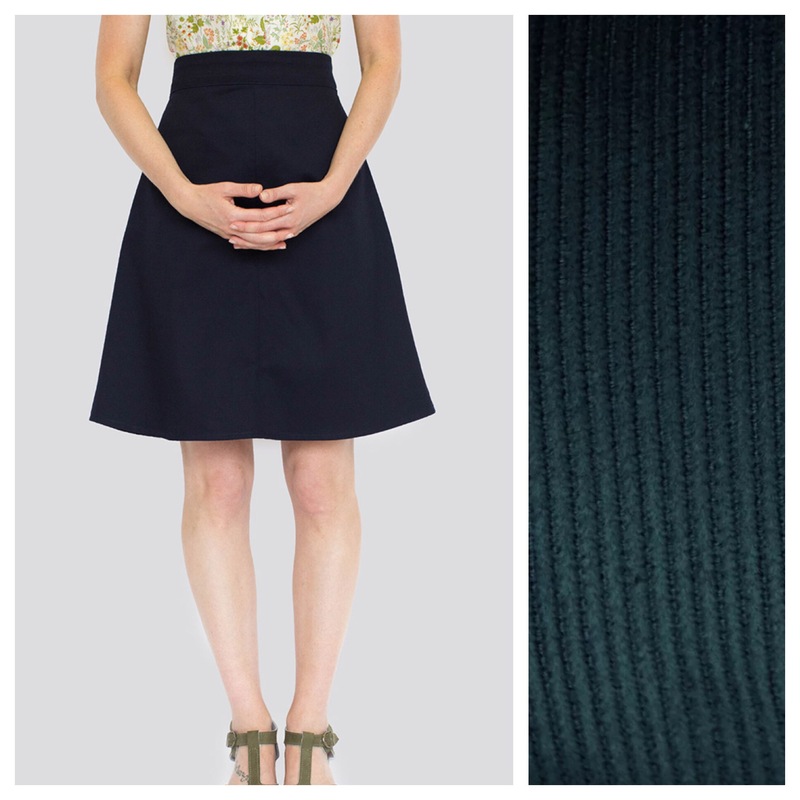 I want to use the Ginger skirt pattern (Collette) with some hacks to create a midi version with front scoop pockets. I have some lush teal fine cord fabric for this one. And for a bit of fun, I have a bright red cord which I want to make a button up skirt from. Kind of like the picture I poached off Pinterest here, but a bit shorter… and maybe some patch pockets. I don’t quite have a pattern yet though. So that’s only four items there. I want to make a coat too so I imagine that will take up quite a bit of sewing time… shall we place bets on how many of these I actually get around to making?